Associate Judge Angela Munari Petrone withdrew yesterday morning from the race for the 7th Subcircuit Rivkin-Carothers vacancy, according to the Illinois State Board of Elections. Tom Courtney withdrew his bid Monday for the countywide Karnezis vacancy. He had filed, in the meantime, you may recall, for the new Johnson vacancy. He faces a challenge to his nominating petitions in that race as well -- but, then, so too does every other candidate in the race -- every other candidate, that is, except the Democratic Party's slated candidate, Sean S. Chaudhuri. Actually, Courtney faces two separate challenges in his bid to remain a candidate for the Johnson vacancy. John P. Carroll and Peter Martin Kramer likewise face two challenges in that race. Cassandra Goodrum-Burton faces three separate challenges. A gentleman by the name of John M. Tervanis is the most prolific challenger of candidates in the Johnson race, challenging the candidacies of Courtney, Goodrum-Burton, Carroll, Kramer, Gregory Raymond LaPapa, Mark A. Lyon, and Bonnie Carol McGrath. Omari Prince has filed challenges to the candidacies of Goodrum-Burton and Carolyn J. Gallagher. Steven M. Laduzinsky has filed additional challenges against Goodrum-Burton and Carroll. Ram Villivalam and Ashish Sen have filed additional challenges against Courtney and Kramer. Most of the candidates for the Eadie-Daniels vacancy in the 5th Subcircuit also drew challenges yesterday, according to the Illinois State Board of Elections -- but not Jameika Mangum or Associate Judge Leonard Murray. Of course, before ascending to the bench, Judge Murray was himself an election lawyer, so the absence of a challenge to his papers should not be considered surprising. John C. Ervin, Jr. and Terry Ervin have challenged all the other candidates for the Eadie-Daniels vacancy, namely, Daryl Jones, Mary Alice Melchor, H. Yvonne Coleman, Jo Anne Guilemette, and Celestia Mays. Jahesha Nassim has also filed challenges to the candidacies of Melchor, Coleman, Guilemette, and Mays. Two of the four candidates for the countywide Palmer vacancy have drawn challenges. Deidre Baumann and Camela A. Gardner are the challenged candidates for this vacancy; Gardner faces two challenges. The Democratic Party's slated candidate, Pat Heneghan, and Susana L. Ortiz are the other two candidates in this race. Both candidates for the Ponce De Leon vacancy in the 6th Subcircuit will have to survive challenges in order to appear on the March primary ballot -- challenges were filed yesterday to the petitions of both Eulalia "Evie" De La Rosa and Richard A. Lugo. Filing unopposed provides no guarantee against a ballot challenge: James M. Allegretti, who filed unopposed in the Republican primary for the Mathein vacancy in the 12th Subcircuit, and Thomas William Flannigan, who filed unopposed in the Republican primary for the 12th Subcircuit Kazmierski, Jr. vacancy, both drew challenges yesterday afternoon, according to the ISBE. That's not as nutty as it sounds: If the challenges prove successful, the winners of the Democratic Primary will be as good as elected in March. No challenges were filed against either of the Democratic candidates for the Mathein vacancy. Associate Judge Marguerite Anne Quinn was the only Democratic candidate drawing a challenge for the Kazmierski, Jr. vacancy. Ricardo Lugo filed late yesterday afternoon to oppose Eulalia "Evie" DeLaRosa for the Ponce De Leon vacancy in the 6th Subcircuit. Licensed in Illinois since 2001, Lugo was an Assistant Public Defender in Wisconsin from 1991 to 2000. He currently works for the Clerk of the Circuit Court. Lugo also sought a 6th Subcircuit vacancy in 2012. In stark contrast, there are now nine candidates for the countywide Johnson vacancy. Six filed on December 14, the first day of the special filing period. Three more filed yesterday: Cassandra Goodrum-Burton, Bonnie Carol McGrath and John P. Carroll. South Side practitioner Goodrum-Burton has been licensed in Illinois since 1987. Cassandra Goodrum Burton is a former assistant state's attorney now in private practice; she ran for 6th Ward Alderman in 2011, losing the election but receiving the Tribune's endorsement. Bonnie Carol McGrath is a writer as well as a solo practitioner; her Chicago Now blog, "Mom, I Think I'm Poignant," has been linked from this page for some time. She has been licensed in Illinois since 1993. There are three John P. Carrolls licensed to practice law in Illinois, according to ARDC, and, until I have actual information, I can do no more than report this candidate's name. There are now four candidates for the countywide Palmer vacancy. Only 'pre-slated' candidate Pat Heneghan filed on December 14. Yesterday, however, Susana L. Ortiz, Deidre Baumann, and Camela A. Gardner all filed; there will be a lottery between Baumann and Gardner to determine who will have the last position in the ballot in this race. Susana Ortiz has been licensed in Illinois since 2001. She is a staff attorney at the IIT Chicago-Kent Law Offices. Deidre Baumann has been licensed in Illinois since 1992. She practices with the Firm of Baumann and Shuldiner. Camela A. Gardner is an attorney with the Illinois Department of Public Heath; she has been licensed in Illinois since 1989. Rolling Meadows criminal defense attorney Jameika Mangum was the only candidate to file for the Eadie-Daniels vacancy on December 14 -- but, oh, how that's changed: At the moment, there are seven candidates in this race. I told you yesterday morning that both Associate Judge Leonard Murray and Daryl Jones filed for this vacancy yesterday morning. (Jones filed without withdrawing from the race for the Williams vacancy; according to the ISBE website, he still hasn't). Subsequently, Mary Alice Melchor filed for the Eadie-Daniels vacancy -- but only after she did withdraw from the Williams vacancy. Also filing yesterday afternoon for the Eadie-Daniels vacancy were H. Yvonne Coleman, Jo Anne Guillemette, and Celestia Mays. 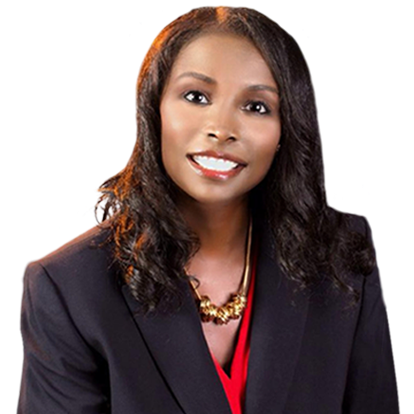 H. Yvonne Coleman filed for a countywide vacancy in the 2014 primary election cycle but withdrew her candidacy; she has been licensed as an attorney in Illinois since 1988. Guillemette was a candidate for a countywide vacancy in 2012. She is an employee of the Chief Judge's office and has served as Assistant Attorney General. Guillemette been licensed as an attorney in Illinois since 1987. Celestia Mays served as President of the Cook County Bar Association in 2014-15. She maintains a Loop law office where, according to her LinkedIn profile, she handles divorce, child support, custody, visitation and paternity, guardianship and estate matters. Mays has been licensed in Illinois since 1990. The expansion of the field in the race for the Eadie-Daniels vacancy has resulted in a significant contraction of the field in the race for the 5th Subcircuit Williams vacancy. Judge Robin Denise Shoffner remains in this race, as does Gwendolyn Dale Anderson and (for the time being, anyway) Daryl Jones. Both Anderson and Jones face petition challenges. Four new candidates filed yesterday in the two new 12th Subcircuit races, two Republicans and two Democrats. I told you yesterday about James Leonard Allegretti, who filed in the Republican primary for the Mathein vacancy. He was the only Republican to file there. Meanwhile, Thomas William Flannigan was the only candidate to file as a Republican candidate for the Kazmierski, Jr. vacancy. Flannigan sought a 12th Subcircuit vacancy in 2008, a countywide vacancy in 2010, and ran for the Illinois Supreme Court in 2012. He has a law office in the Loop. Both of the candidates filing yesterday as Democrats in the 12th Subcircuit are seeking the Kazmierski, Jr. vacancy. The new candidates are Frank J. Andreou and Jennifer E. Bae. Andreou has an office in the West Loop, practicing with the firm of Andreou & Casson, Ltd. He has been licensed in Illinois since 1995. Jennifer Bae has sought judicial office twice previously, once from the 4th Subcircuit in the 2008 primary and, in the 2012 primary election cycle, from the 12th Subcircuit. (A successful petition challenge kept Bae off the ballot in 2012; her name also did not appear on the ballot in 2008.) Bae has been licensed as an attorney in Illinois since 1997; she practices from a law office in Des Plaines. Three Cook County judicial candidates filed early this morning for vacancies in the 5th and 12th Subcircuits, according to the Illinois State Board of Elections website. Daryl Jones, who previously filed for the Williams vacancy in the 5th Subcircuit, filed this morning for the Eadie-Daniels vacancy there. As of the original time of this post, Jones had not yet withdrawn from the contest for the Williams vacancy. Associate Judge Leonard Murray also filed for the Eadie-Daniels vacancy this morning. Judge Murray was one of the several judges tabbed as "alternate" candidates for the Appellate Court by the Cook County Democratic Party this past summer. Jameika Mangum, who also filed for the Williams vacancy, but withdrew from that race, is the third candidate in the race for the Eadie-Daniels vacancy so far. On the Republican side, Park Ridge attorney James Leonard Allegretti has filed for the Mathein vacancy. He is so far the only Republican to file for this vacancy. An attorney since 1978, Allegretti practices with the firm of Allegretti & Associates. 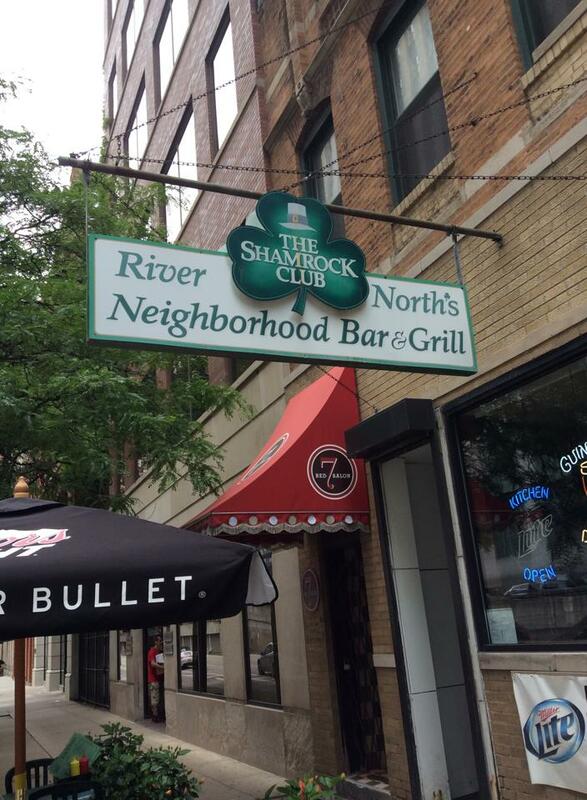 Supporters of Ed Underhill's campaign for the "A" vacancy in the 6th Subcircuit are planning a holiday fundraiser for their candidate, on Tuesday, December 29, from 5:00 to 7:00 p.m., at the Shamrock Club, 210 West Kinzie, in River North. Tickets for the event are $100 apiece, but sponsorships are available ($250 - Friend, $500 - Host, or $1,000 - Sponsor). The event is hosted by Kathleen Gaber, Scott Hanson, Julie Hill, Jeff Osman, Gerald Morel and George Kobayashi. For more information about the event, or to order tickets, email Mia Phifer at Mia@miaphifer.com or call her at (773) 398-6986. So an appointed judge withdraws from the race and we are supposed to believe that no deals were made? This was the rather angry question asked by an anonymous (what else?) commenter in response to a recent blog post. Well, sir (or madam), who's asking you to believe that no deals were made? For the sake of the now-former candidate in question, who, by the way, I do not know, I hope he cut a great deal, complete with solemn promises and maybe even blood oaths of future support. The particular candidate would not be the first to withdraw in response to a request from the Democratic Party. Not even close. It happens in every election cycle, so far as I know. And that's if the candidate was in fact requested to step aside. My angry and anonymous commenter dismissed outright the possibility that the candidate may have decided that he did not like being a judge as much as he thought he would. But I couldn't say that for certain. Oddly enough, candidates do not routinely confide in me about such matters. And by routinely, I mean candidates never confide in me about such things. Why should they? Nor did I speculate on the withdrawing candidate's motives in my post. I wrote -- and this is a fact -- that the candidate would have been running against the Democratic Party and its slated candidate. There may be those in the Party who would not look kindly on a person who runs against their candidate today and then seeks the Party's support in a future race. The slated candidate will have fundraising and other advantages that an unslated candidate, even one who happens to be an appointed judge, would have difficulty matching. In the particular case, the candidate was also facing a challenge to his nominating petitions when he withdrew. Perhaps there was a problem with the petitions. Perhaps the challenge was eminently survivable -- but the cost of fighting to stay on the ballot may have been pretty steep. FWIW readers know how often challenges are filed against judicial candidates. It isn't very nice, but there is nothing illegal, so far as I know, about mounting a ballot challenge against a candidate with an eye toward diverting that candidate's resources from campaigning (assuming, of course, that there is a good faith basis for the challenge in the first place). And there are other factors a candidate might consider. A candidate might have a partnership to return to while waiting for the next election cycle or a reasonably good expectation of another judicial appointment. There are any number of personal factors that an individual candidate can and should be able to evaluate, with or without the assistance of his or her family and friends, about whether to stay in a race or step aside. What am I missing? Have I been simmering so long in the cynical cesspool of Cook County politics that, even as a mere observer, my moral compass has been thrown off kilter? These, by the way, are serious, as opposed to rhetorical, questions. It seems to me that, since we elect judges in this state, candidates for that office are entitled to take political considerations into account when assessing their chances for success now or in the future and to act accordingly, according to their own best judgment. But that's just my opinion, clearly labeled as such. Readers, what say ye? According to the Illinois State Board of Elections, Associate Judge Marguerite Anne Quinn filed this afternoon for the Democratic nomination for the Kazmierski, Jr. in the 12th Judicial Subcircuit. The only other candidate to file in this race is Louis George Apostol. Quinn has been an associate judge since 2007; she sought an Appellate Court vacancy in 2012. Meanwhile, the race for the countywide Walsh vacancy reconfigured today when Judge Gerald V. Cleary withdrew his candidacy. Cleary had been awarded the top ballot position in this race, but would have been bucking the Democratic Party in pressing his attempt to hold the seat to which he had been appointed by the Illinois Supreme Court. The remaining candidates in this race are the slated candidate, Judge Fredrick H. Bates (recently appointed by the Supreme Court to the Johnson vacancy, but "pre-slated" for this vacancy, when it occurred), Kevin Patrick Cunningham and Patrick Joseph Powers. Powers inherits the top ballot position abandoned by Judge Cleary. 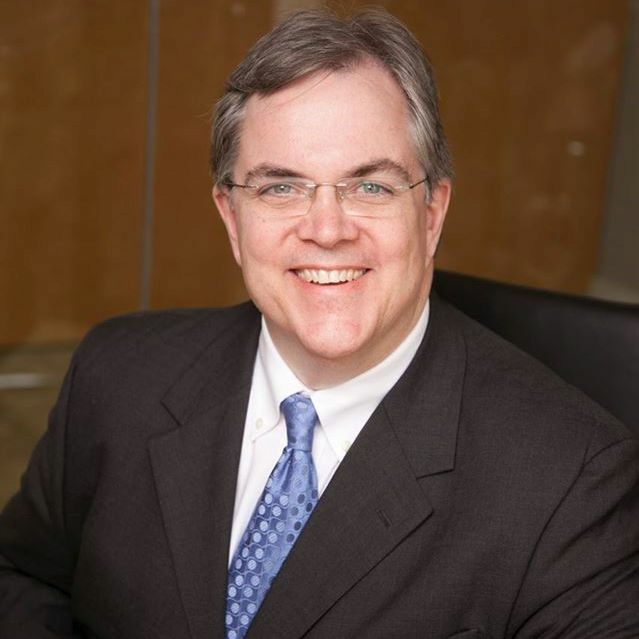 Park Ridge criminal defense attorney Thomas Francis McGuire withdrew this morning from the race for the countywide Elrod vacancy, according to the Illinois State Board of Elections. McGuire's departure leaves just two candidates in that race, the slated candidate, Judge Rossana Patricia Fernandez, and Scott Edward Lipinski. A fourth candidate, Joseph Chico, withdrew from the race on December 9. Countryside attorney Donna McDonald has withdrawn from the race for the Democratic nomination for the Kunkle vacancy in the 4th Judicial Subcircuit, according to the Illinois State Board of Elections. Her departure from the race leaves Judge Edward J. King as the only candidate in the race. No Republican filed for this vacancy. Judge Jerry Esrig, a candidate for the Berman vacancy in the 9th Judicial Subcircuit, was a recent guest on Avy Meyers' North Town News Magazine program and his interview has been posted online. NTNM airs Thursdays on CAN-TV at 7:30 p.m., and again on Fridays at 2:30 p.m. It airs in Evanston on Cable Channel 6 on Thursdays at 5:00 p.m. and Sundays at 10:30 p.m. NTNM also airs on a number of cable systems in the suburbs Thursdays and Monday. Check your local listings for air times. Meanwhile, with the permission of NTNM host and moderator Avy Meyers and his entire technical crew Sonny Hersh, you can watch the interview here. Assistant State's Attorney Timothy Matthew McQuillen withdrew his candidacy this afternoon for the Howard vacancy in the 10th Judicial Subcircuit, according to the Illinois State Board of Elections. Five candidates remain in that race after McQuillen's withdrawal, Colleen Reardon Daly, Stephanie Saltouros, Judge Eve Marie Reilly, Michael John Malatesta, and Richard "Rick" Cenar. Louis George Apostol is the only candidate so far to file in the Democratic Primary for the Kazmierski, Jr. vacancy in the far north suburban 12th Subcircuit. Apostol is the Executive Director, general counsel and legislative liaison for the Illinois Property Tax Appeal Board. As Executive Director, he is responsible for the management and adjudication of all residential, commercial, industrial and farm property tax appeals in Illinois. Licensed as an attorney in Illinois since 1980, Apostol previously served as a Commissioner (trial judge) on the Illinois Court of Claims (from 2003-2008) and, from 1991 to 2003, as Public Administrator of Cook County. Apostol was not "pre-slated" for any new 12th Subcircuit vacancies that might occur (as two did) for special judicial filing period but, in September, when reporting the outcome of the 12th Subcircuit slating meeting, FWIW quoted an email from Northfield Township Committeeman Mike Kreloff, Apostol would be "strongly considered" for endorsement. Two candidates have filed in the Democratic primary so far for the Mathein vacancy in the 12th Subcircuit, Adam Scott Mathein and Janet Cronin Mahoney. 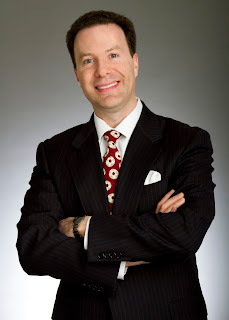 Adam Scott Mathein is a principal in the firm of Mathein & Rostoker, P.C. ; he has been licensed in Illinois since 1997. Mahoney is an Assistant State's Attorney; she has been licensed in Illinois since 1987. Rolling Meadows criminal practitioner Jameika Mangum, withdrew her candidacy for the Williams vacancy in the 5th Subcircuit just last Monday. Today, Mangum filed for the new Eadie-Daniels vacancy in the 5th Subcircuit. She is so far the only candidate to file in this race. Assistant Public Defender Eulalia "Evie" De La Rosa, the Immediate Past President of the Puerto Rican Bar Association of Illinois, is the only candidate so far to file for the Ponce De Leon vacancy in the 6th Subcircuit. De La Rosa has been licensed as an attorney in Illinois since 2004. Matthew Link was the only candidate filing for the Murphy vacancy in the 14th Subcircuit when the doors to the ISBE opened this morning. According to ARDC, Link is employed by the Committee on Finance of the City Council of the City of Chicago and has been licensed as an attorney in Illinois since 2004. 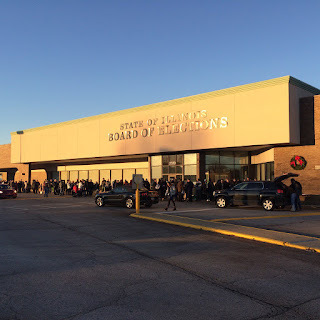 Six candidates for the countywide Johnson vacancy were in line this morning when the Illinois State Board of Elections opened its doors for the first day of the special judicial filing period. 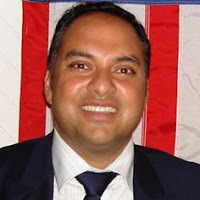 The Democratic Party's pre-slated candidate, Sean Chaudhuri, pictured here, was one of these. Gregory Raymond LaPapa, who recently withdrew from the race for the countywide Love vacancy also filed for this vacancy, as did Tom Courtney, who (at last check) has yet to withdraw from the race for the countywide Karnezis vacancy. Carolyn J. Gallagher is the only female candidate to file for this vacancy so far. The other two candidates filing this morning are Peter Martin Kramer and Mark A. Lyon. According to ARDC, Kramer is employed by the Cook County Sheriff; he has been licensed as an attorney in Illinois since 2002. Lyon is a DuPage County Assistant Public Defender, according to ARDC; he has been licensed in Illinois since 1986. Meanwhile, Pat Heneghan is so far the only candidate to file for the countywide Palmer vacancy. Heneghan was pre-slated by the Democratic Party for this newly-opened vacancy. Judge Carrie Hamilton, the only candidate for the Democratic nomination for the Tristano vacancy in the 12th Judicial Subcircuit, was a recent guest on Avy Meyers' North Town News Magazine program and her interview has been posted online. Hamilton will face Republican David Studenroth in November 2016. Seven applicants have qualified as candidates for the soon-to-be open seat on the Chicago Board of Election Commissioners, Chief Cook County Circuit Judge Timothy C. Evans announced yesterday. Sean Vinck, director of Enterprise IT Transformation and senior legal adviser for the State of Oregon. Chief Judge Evans will interview all seven candidates and select one candidate to submit to the Circuit Judges of the Cook County Circuit Court for approval. To join the board, the candidate needs the approval of a majority of the Circuit Judges. The interviews will begin Monday, December 14, and the decision of the Circuit Judges is anticipated by the end of December. FWIW readers may recall that Professor Simpson once served as Alderman of Chicago's 44th Ward (from 1971-1979). 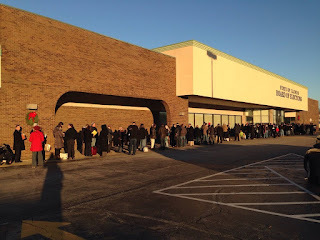 The Chicago Reader's Ben Jarovsky has a post up about Simpson's application. Judge Bertucci was first elected from the 14th Subcircuit in 1992; he was most recently retained in 2010. Under a state statute, the composition of the three-member board is to include one member from the state’s two leading political parties. Currently, the board has one Democrat and one Republican. The current opening is not limited to any political party, but all of these candidates are identified as Democrats. The current vacancy occurred when Election Board Chairman Langdon D. Neal informed Chief Judge Evans that he would step down at the end of this month. Another vacancy on the Chicago Board of Election Commissioners was filled last month when William J. Kresse was appointed as the Republican commissioner. The third (Democratic) commissioner is Marisel A. Hernandez. Under state law, vacancies are filled by the Circuit Court where the Election Board is located. The Cook County Board has set Chicago Board of Election Commissioner salaries at $77,798 annually. Commissioners serve three-year terms. The commissioners manage voter registrations; safeguard the rights of all voters to cast ballots independently in a safe and quiet atmosphere, free of interference or intimidation; and inform voters of all of their balloting options, such as Election Day voting, Early Voting and Vote By Mail. In addition, the board serves as the quasi-judicial arm of the courts and issues decisions when a voter objects to the nominating petitions of a candidate who wants to be on the Election Day ballot. Such offices include Chicago Mayor, Chicago Alderman, Ward Committeeman, City Treasurer, City Clerk and certain Congressional, Illinois Senate and Illinois House of Representatives Districts that fall partly or entirely in the City of Chicago. The Chicago Board of Election Commissioners does not hear challenges to the nominating petitions of Cook County judicial candidates. For the current vacancy, the balance of the term will end on November 30, 2017, when Neal’s three-year term would have concluded. The candidates’ application forms can be found at www.cookcountycourt.org. Found on the Internet, the campaign website of David Studenroth, Republican candidate for the Tristano vacancy in the 12th Judicial Subcircuit. That's a link to the candidate's website in the preceding sentence; a link has also been added to the blog Sidebar. Studenroth has been licensed as an attorney in Illinois since 1987, according to ARDC. According to his campaign biography, Studenroth is a former Assistant State's Attorney who worked as a gang crimes prosecutor. He is now in private practice, and maintains a law office in Park Ridge. He reports trying more than 70 criminal jury cases. According to his campaign biography, Studenroth is a resident of Glenview. He is married and has three children and has served as a coach in the Glenview Junior Titans youth football program and as a boys and girls coach in the Glenview Park District basketball program. Studenroth faces no opposition in the Republican primary. He will face Judge Carrie Hamilton in November 2016 (Hamilton is unopposed in the Democratic primary). Colleen Reardon Daly, one of the candidates for the Howard vacancy in the 10th Judicial Subcircuit, was a recent guest on Avy Meyers' North Town News Magazine program and her interview has been posted online. The theory -- and there is statistical evidence to back this up -- is that the top ballot position is worth something in a judicial primary election. The ballot bump varies from election cycle to election cycle, but snagging that top spot means more votes. Thus, in the race for the "A" vacancy in the 6th Subcircuit, Judge Anna Loftus must be considered a 'winner' for securing the top spot in yesterday's ballot lottery, conducted by the Illinois State Board of Elections. Edward J. Underhill snagged the second spot, while slated candidate Carlos Claudio drew third place. 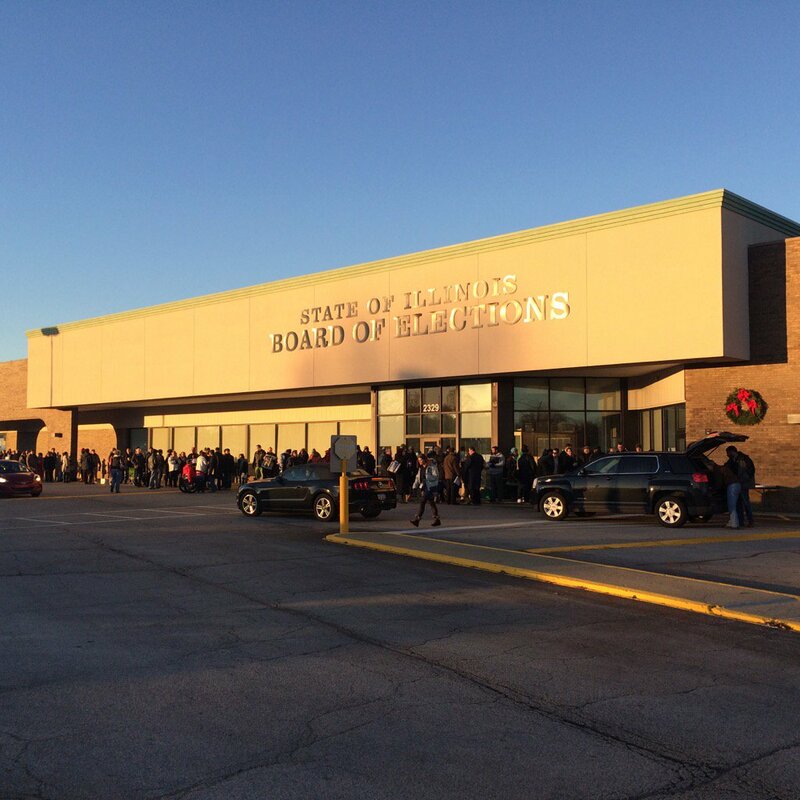 These three candidates were in the lottery because their nominating petitions were deemed filed as soon as the doors opened at the ISBE on the morning of November 23. Colleen Reardon Daly won the top spot in the race for the Howard vacancy in the 10th Subcircuit. Slated candidate Stephanie Saltouros came in second, while Judge Eve Marie Reilly, who holds the seat pursuant to Supreme Court appointment, came in third. Michael John Malatesta was fourth in the ballot lottery for this seat and Richard "Rick" Cenar came in fifth. The sixth candidate, Timothy Matthew McQuillen, did not file his nominating papers until the last day of the filing period and was therefore not included in the lottery for the top ballot line. O'Hara was also eligible for the lottery for the top ballot position in that countywide race, but he came in third, behind Mary Kathleen McHugh and Judge Devlin J. Schoop. Tom Courtney drew the last spot. Judge Rossana Patricia Fernandez finished third (of three candidates) in the ballot lottery for the top spot in the race for the countywide Elrod vacancy. Scott Edward Lipinski has the top spot, followed by Thomas Francis McGuire. A fourth candidate in this race, Joseph Chico, withdrew his candidacy yesterday, according to the ISBE. Michael I. O'Malley holds the top ballot position in his one-on-one challenge against Judge Alison C. Conlon. Both John E. Marszalek, who snagged the top spot, and William Wojcik finished ahead of Judge Daniel Patrick Duffy in the lottery for the top ballot position in the Ruscitti Grussel vacancy. A fourth candidate, Monica M. Torres-Linares was not eligible for that lottery because she filed later. Judge Gerald V. Cleary won the top spot in the drawing for the top line for the Walsh vacancy. All four candidates were eligible for the lottery in this race. Patrick Joseph Powers and Kevin Patrick Cunningham finished second and third, respectively. Judge Fredrick H. Bates, the slated candidate, finished fourth. Celeste K. Jones won the lottery for the top spot in the race to fill the 2nd Subcircuit vacancy. Chelsey R. Robinson and D. Renee Jackson finished second and third, respectively. Travis Richardson was not eligible for the lottery. Of course, there are challenges pending in many of these races, and the outcome of those proceedings may shake up the ballot order further. Supporters of Brendan O'Brien's campaign for the countywide Love vacancy are holding a fundraiser for their candidate on Thursday, January 21, 2016, from 5:30 to 8:30 p.m., at Moe's Cantina, 155 W. Kinzie. Wait a minute, you say -- isn't O'Brien unopposed in the primary? Isn't it true that he faces no Republican opposition? Well, you are correct, the answer to both those questions is 'yes' -- but the campaign necessarily incurred expenses to get to this point. The campaign could not assume that no one would oppose their candidate. So a fundraiser is still needed to defray expenses. But the ticket price is only $50 per person (a $300 sponsorship is available). Cocktails and food will be served. Hosts for the event are Martin Perez, Mark McKenna, Stephanie Nathanson, John Palumbo, Paul Reidy, Mark Hooper, Dave Gubbins, Dan Trevino, Steve Bonanno, Stan Davidson, Phil Kujawa, Dave Afini, Josh Vincent, and Ted McNabola. For more information, or to order tickets, email nrowell@hinshawlaw.com. How can you find out what the challenges are? This was a question raised as a comment to yesterday's post, and it's one I can even answer... up to a point. Cook County Clerk David Orr maintains a great website (by Cook County standards, that's an understatement -- as everyone who has ever accessed our Circuit Clerk's website will solemnly agree) which lists all the ballot challenges and provides the next public hearing date in each case. Here is the link to the Electoral Board website maintained by the County Clerk's office: http://www.cookcountyclerk.com/elections/electoralboard/Pages/default.aspx. Each candidate complaint is arranged by office sought -- objections for those seeking Cook County offices, for example are listed CC01, et seq.. All the judicial candidate objections are listed as JUD01, JUD02, JUD03 et seq. Each docket number has embedded within it a link to the Complaint filed in each case. Thus, for example, we find, in clicking on the challenge to the petitions of uncontested candidate Maureen O'Donoghue Hannon -- admit it, you were wondering about that one, too -- a single page complaint stating that the "objection is that Maureen O'Donoghue has proven to be an unreasonable States Attorney as demonstrated in her litigation of" one specified case in the Northern District of Illinois and two specified appeals before the 7th Circuit "leading any reasonable person to believe that MAUREEN O'DONOGHUE HANNON would be an unreasonable judge if she were successful in her nomination and possible election to the Court." Well. Some challenges are more likely to succeed than others -- didn't I tell you that? But the serious challenges are harder to evaluate, mainly because the appendices to the complaints, where all the real meat of a challenge is usually contained, are not included in the documents posted on line. Of course, each one of these documents contains the names and addresses of hundreds or even thousands of persons, whether or not they are registered voters, whose privacy should not be disturbed. So... while you will see the same allegations repeatedly... failed to file the required number of signatures... filed petitions with signatures of persons not registered to vote... signers resided outside district (very popular in subcircuit objections)... used improperly qualified circulators... and although there are certainly exceptions to this rule, it won't necessarily be easy to find out how strong any particular challenge may be until the process unfolds a bit more. Postscript: Proving once again that I have the best readers on the Internet, while I was preparing this post, someone already provided the link to County Clerk Orr's Electoral Board website in the comments section to the preceding post. Five of the seven remaining candidates for the Rivkin-Carothers vacancy in the 7th Subcircuit will face challenges to their nominating petitions before the Cook County Electoral Board. Only Judge Patricia "Pat" S. Spratt and Patrick D. John escaped legal challenges to their candidacies. Four of the five challenged candidates, Mable Taylor, Christopher J. Stuart, slated candidate Jennifer Ballard, and Associate Judge Angela Munari Petrone, face two separate challenges to their papers. All four candidates for the only vacancy in the 2nd Subcircuit face petition challenges. Travis Richardson faces two challenges. As Finley Peter Dunne said, about 100 years before the creation of judicial subcircuits, "Politics ain't beanbag." One might be tempted to extrapolate from these data points that crowded races bring multiple challenges -- but, in the crowded race for the sole vacancy in the 10th Subcircuit, only Timothy Matthew McQuillen drew a challenge to his nominating petitions. The other five candidates in that race were not challenged. In a race that has drawn a great deal of attention, at least on FWIW, the race for the "A" vacancy in the 6th Subcircuit, no candidates' petitions have been challenged. Thomas Maloney Cushing filed at the last minute for the countywide Howlett, Jr. vacancy, challenging Judge Alexsandra "Alex" Gillespie, who holds the seat pursuant to Supreme Court appointment and is the Democratic Party's slated candidate. Cushing ran in the 9th Subcircuit in 2014 and was, in the estimation of the various bar associations screening candidates in that primary, one of the highest rated candidates anywhere in the county. Neither of these candidates has been challenged. Nor were any challenges filed in the countywide Hogan vacancy, where Judge Alison C. Conlon has a one-on-one set up with Michael I. O'Malley. Similarly, neither of the two candidates for the Kunkle vacancy in the 4th Subcircuit, Donna McDonald or Judge Edward J. King, drew any challenges to their nominating petitions. Former Judge Allan W. Masters got knocked off the ballot in 2014 (he fell six signatures short), but his petitions to run for the "A" vacancy in the 12th Subcircuit Democratic Primary in this election cycle have drawn no challenge. Masters' opponent in that race is James Edward Hanlon, Jr., the Democratic Party's slated candidate. Hanlon is likewise unchallenged. None of the three candidates for the Hopkins vacancy in the 1st Subcircuit, Rhonda Crawford, Lisa A. Copland, or Judge Anthony E. Simpkins, drew any challenge either. From these data points one might be tempted to conclude that less crowded fields provoke fewer challenges. But both candidates in the race for the other 1st Subcircuit vacancy, Judge Maryam Ahmad and Jesse Outlaw, face ballot challenges. The only real conclusion in predicting ballot challenges is one most lawyers can appreciate (and one that too often makes clients cringe): It depends. In the race for the Williams vacancy, four of the five candidates drew ballot challenges. One, Rolling Meadows criminal practitioner Jameika Mangum, withdrew her candidacy after the challenge was filed. Judge Robin Denise Shoffner was not challenged, but her remaining opponents, Gwendolyn Dale Anderson, Daryl Jones, and Mary Alice Melchor all will have to cope with attacks on their nominating papers. Two of the four candidates in the race for the Elrod vacancy will face challenges, Thomas Francis McGuire and Scott Edward Lipinski. Joseph Chico and Judge Rossana Patricia Fernandez were not challenged. Nor was Judge Devlin J. Schoop challenged in his bid to hold the countywide Karzenis vacancy. Each of his opponents, however, Brian J. O'Hara, Tom Courtney, and Mary Kathleen McHugh, will face challenges. Judge Gerald V. Cleary is the only one of four candidates who has been challenged in the race for the countywide Walsh vacancy. Patrick Joseph Powers, Kevin Patrick Cunningham, and Fredrick H. Bates emerged unscathed from the petition review process. Nathan Benjamin Myers faces a challenge in the race for the 9th Subcircuit Berman vacancy. Judge Jerry Esrig and Thomas Peter Kougias do not. Judge Marc Martin and Catherine Ann Schneider do not have to deal with any attacks on their nominating papers, but the third candidate in the race for the Kelly vacancy in the 11th Subcircuit, James DiChristofano, does. On the Republican side, Richard Montgomery Craig faces a ballot challenge in the race for the "A" vacancy in the 12th Subcircuit. Two of the three Republican candidates for the Fecarotta, Jr. vacancy in the 13th Subcircuit, face challenges, Richard George Karwaczka and Kevin Michael O'Donnell. The third candidate in that race, Gary W. Seyrig does ont. Not all ballot challenges are created equal. Some seem nothing more than nuisance filings, but (if history is any guide, and it is) several will be found meritorious. All have a throw-everything-up-against-the-wall quality that is surely the product of the haste with which ballot challenges must necessarily be assembled. Whether a challenge has merit or not, defending against it can be expensive. The initial status hearings on these various ballot challenges will be Monday, December 14 at 2:00 p.m. Supporters of Carolyn Gallagher's anticipated countywide judicial bid are planning a fundraiser for their candidate on Thursday, December 10, from 5:30 to 7:30 p.m. at Stormy's Tavern and Grille, 1735 Orchard Lane in Northfield. Tickets for the event are $50 apiece. Sponsorships are available (Silver - $100, Gold - $150). The stated hosts for the fundraiser are Peter J. Janus, Jr. and Alfred L. Knorr. For more information about the event, or to order tickets, contact info@electgallagher.com. River Forest practitioner Brian O'Hara had to choose between staying in the very crowded race for the Rivkin-Carothers vacancy in the 7th Subcircuit or the countywide Karzenis vacancy. He has today advised the Illinois State Board of Elections that he is withdrawing from the 7th Subcircuit race. There are three other candidates in the race for the Karzenis vacancy besides O'Hara. Judge Devlin J. Schoop holds the seat pursuant to Supreme Court appointment and is the Democratic Party's slated candidate in this race. Tom Courtney and Mary Kathleen McHugh are also candidates for this vacancy. Courtney, who practices in Palos Heights, filed for the Illinois Supreme Court and an Illinois Appellate Court vacancy in 2012, but withdrew from both races. McHugh has been licensed in Illinois since 1993 and is currently practicing with Parrillo Weiss LLC. Oak Lawn personal injury attorney William S. Wojcik has drawn a challenge to the nominating petitions he filed in the race for the countywide Ruscitti Grussel vacancy. Judge Daniel Patrick Duffy holds this seat pursuant to Supreme Court appointment; Duffy is also the Democratic Party's slated candidate in this race. Other candidates for the Ruscitti Grussel vacancy are Loop PI attorney John E. Marszalek and Monica M. Torres Linares. Maureen O'Donoghue Hannon may be unopposed in her bid for the countywide O'Brien vacancy, but a challenge has been filed to her nominating petitions as well. Hannon is the slated candidate and presumably had the benefit of experienced political operatives in preparing and filing her petitions; it will be interesting to see how this challenge fares. There are -- if history is any guide -- quite a number of petition challenges still to come. FWIW will attempt to keep up with the filings as work requirements permit. Supporters of Jennifer Ballard's quest for the Rivkin-Carothers vacancy in the 7th Subcircuit have scheduled a fundraiser for their candidate on Tuesday, December 8, from 5:00 to 7:00 p.m. at the offices of Hinshaw & Culbertson LLP, 222 N. LaSalle Street. Tickets for the event are $150 each, but sponsorships are available (Supporter - $250, Ambassador - $500, Champion - $1,000). For more information about the event, or to order tickets, visit this page of Ballard's campaign website or email alysonmiller1207@gmail.com. Justice Stuart E. Palmer, a Circuit Court judge who has been serving on the Illinois Appellate Court pursuant to Supreme Court assignment, has announced his intention to step down, opening a second countywide Circuit Court vacancy for the special filing period which begins on December 14 (the other is the vacancy of Judge Marilyn F. Johnson). The Illinois State Board of Elections has also posted three new subcircuit vacancies, the 5th Subcircuit vacancy of Judge Loretta Eadie-Daniels, and two vacancies in the 12th Subcircuit, those of Judges Joseph G. Kazmierski, Jr. and Veronica B. Mathein. Sean Chaudhuri and Patrick Heneghan are the candidates 'pre-slated' by the Democratic Party for the Johnson and Palmer vacancies, respectively. -- and then clicked on the link to get the .pdf report -- what should I get but the same old "Vacancies as of November 18" list I'd seen 100 times. Fortunately, ISBE General Counsel Ken Menzel was able to confirm the new vacancies for me and tell me how to work around the technology issue so I could generate the correct report (I had to open the web page in a different browser -- Chrome, in my case, instead of my usual Firefox). Mr. Menzel was kind enough to say he'd had the same problem, at first, and I bring this up only because some of my readers may have experienced it as well. In any event, my thanks to Mr. Menzel. Judges Carrie Hamilton and Ketki "Kay" Steffen will presumably face Republican challengers in November 2016, but no Republican or Democratic challengers appeared to challenge either Richard C. Cooke in his bid for the Santiago vacancy in the 6th Subcircuit, Judge William B. Sullivan in his bid for the Zwick vacancy in the 11th Subcircuit, or Judge Marianne Jackson in her bid to hold the Burrell vacancy in the 7th Subcircuit. Barring something entirely unforeseen, all three will be sworn in for full terms on the first Monday of December 2016. On the other hand, the race for the Rivkin-Carothers vacancy in the 7th Subcircuit now has eight contestants. It is unlikely that all eight will stay in the race (candidates and their surrogates are going over their opponents' petitions even as you read this, looking for ways to mount ballot challenges) -- one, Brian J. O'Hara, also filed for the countywide Karzenis vacancy and has the option, at least, of choosing the countywide race instead. For the present, at least, in addition to O'Hara, the race for the Rivkin-Carothers vacancy features Judge Patricia "Pat" S. Spratt, who filed to hold this seat, and slated candidate Jennifer Ballard. Ballard filed for this vacancy yesterday, as did Christopher J. Stuart and Mable Taylor. All three were noted in a post yesterday afternoon. Three more candidates entered the race at the last moment, and will participate in the lottery for the last line on the ballot. These three are Rosa Silva, Patrick D. John, and Associate Judge Angela Munari Petrone. While Judge Sullivan will be unopposed in his 11th Subcircuit race, Judge Marc Martin presently faces two challengers in his bid for the Kelly vacancy in the 11th. Catherine Ann Schneider, a senior attorney for CARPLS, has filed in this race, as has Niles attorney James DiChristifano. Schneider and DiChristifano both have Facebook campaign pages; I've linked to these in the preceding sentence. Schneider has been licensed in Illinois since 1994, DiChristifano since 2004. A sixth challenger entered the race for the Howard vacancy in the 10th Subcircuit late yesterday afternoon. Assistant State's Attorney Timothy Matthew McQuillen has been licensed in Illinois since 2006, according to ARDC. Judge Jerry Esrig picked up another challenger in his bid to hold his 9th Subcircuit seat. Nathan Benjamin Myers filed for this vacancy late yesterday; he ran against Judge Esrig in 2014 as well. Thomas Peter Kougias is the other candidate in this race. No one filed to run against Judge Eileen O'Neill Burke and Justice Bertina E. Lampkin in their respective Democratic primary races for the Appellate Court. No Republicans filed at all. Burke and Lampkin are virtually guaranteed full 10 year terms on the Illinois Appellate Court beginning in December 2016. Three Circuit Court candidates also drew no primary opposition: Judge John Fitzgerald Lyke, Jr., Brendan A. O'Brien, and Maureen O'Donoghue Hannon. There is at least one challenger to the Democratic Party's slated candidate in each of the other six countywide vacancies for which nominating papers have so far been accepted (candidates seeking the Johnson vacancy can not file before December 14) -- but the winners of those contested primary contests will likewise be assured of election in the fall of 2016: Not one Republican filed for any countywide vacancy. To be fair, Democrat vs. Republican contests are likely in both 12th Subcircuit races, and in the 13th Subcircuit. But these are the only races in which any Republicans filed. In the 13th, newly appointed Judge Ketki "Kay" Steffen is unopposed for the Democratic nomination for the Fecarotta vacancy, while Republicans Richard George Karwaczka, Gary W. Seyring, and Kevin Michael O'Donnell have filed for the Republican nomination. In the race for the Tristano vacancy in the 12th Subcircuit, Judge Carrie Hamilton is unopposed for the Democratic nomination, while David Studenroth was the only Republican to file. In the race for the "A" vacancy in the 12th Subcircuit, there are contests in both party primaries. On the Democratic side, slated candidate James Edward Hanlon, Jr. is set to face former Judge Allan W. Masters. Masters was a candidate in the 12th Subcircuit in 2014 until he was ruled off the ballot. On the Republican side, three candidates have filed: Alex Kaplan, Richard Montgomery Craig and Steven A. Kozicki. But here is the lesson, and one which FWIW readers must pass along to their less politically-involved friends and neighbors: For the most part, with very few exceptions -- detailed above -- the Democratic Primary is the judicial election. Persons interested in selecting qualified judges in this county have to turn out for the primary or be effectively shut out of the process. There are three new candidates for the Rivkin-Carothers vacancy in Cook County's 7th Judicial Subcircuit as of mid-afternoon. Judge Patricia "Pat" S. Spratt filed for this vacancy last Monday (she holds this seat pursuant to Supreme Court appointment), as did Brian J. O'Hara (who also filed for the countywide Karzenis vacancy). Today, Spratt and O'Hara were joined in this subcircuit race by Christopher J. Stuart (that's a link to his Facebook campaign page; his campaign website is still under construction), Hinshaw & Culbertson partner Jennifer Ballard (that's a link to her campaign website; a link has been added to the blog Sidebar), and Mable Taylor (who ran for 7th Subcircuit vacancies in 2012 and 2014, getting knocked off the ballot in 2014). Ballard is the candidate slated by the Democratic Party in this race; she has been licensed as an attorney in Illinois since 2008. As expected, Travis Richardson filed for the 2nd Subcircuit vacancy this afternoon. Three others filed in this race last Monday: D. Renee Jackson, Celeste Jones, and Chelsey R. Robinson. Judge Ketki "Kay" Steffen has filed as the sole Democratic candidate in the heavily Republican 13th Subcircuit. Lisa Copland filed for the Hopkins vacancy in the 1st Subcircuit this afternoon. Her two opponents in this race are Judge Anthony E. Simpkins and Rhonda Crawford. (I've just found Crawford's campaign website; there is a link in the preceding sentence and the site has also been added to the blog Sidebar). There will presumably be other filings later this afternoon -- as close to close of business as the ISBE will permit. Those in line when the ISBE shuts its doors this afternoon will be eligible for a special lottery for the last place on the ballot. In a crowded field, according to widely held belief, first place is preferable, but last place is almost as good. James Edward Hanlon, Jr., a candidate for the "A" vacancy in the 12th Subcircuit, was a recent guest on Avy Meyers' North Town News Magazine program and his interview has been posted online. This is a non-partisan blog. I want to cover all candidates running for judge in Cook County. Because Democratic candidates have historically enjoyed such tremendous success in this county, most of the posts here will be about candidates in the Democratic primary. But I gladly cover Republican candidates, too. If a candidate has a website, I will link to it and post another link in the blog Sidebar. This blog does not make endorsements. Over the years I've been doing this, I always seem to know at least some of the candidates, whether I've had cases with or against them over the years, or we've officed together, or because we've met through bar functions, or because we've met through this blog. I will mention significant connections, but I don't think the public cares how many candidates I've met, and I am certain the public does not care who I intend to vote for. On the other hand, while I won't make individual endorsements, I have been a lawyer for 35 years and I have fairly well-developed opinions about what I want for my clients when I appear in court. I reserve the right to talk about that -- in general terms -- in future posts. I've made an editorial decision to try and present all candidates in the most positive light that I can, especially in my first post about a campaign. But not all candidates are created equal: Some are older, some are younger, some have tons of relevant experience, other have very limited experience. Some may even have run afoul of the disciplinary authorities. When the bar association evaluations come out, later in the election cycle, some candidates will have entirely favorable ratings, but others will not. Bar associations can and do differ over the merits of particular candidates. All of this is fair game for FWIW. But I'm not going to go out of my way to slam anyone. In past election cycles I have given candidates the opportunity to make their own case (click here to bring up posts written by judicial candidates in prior campaigns). I plan to do this again; expect an announcement around the first of the year. I believe the best candidates will distinguish themselves when as much information about all candidates as possible is presented for the voters' consideration. In addition to bar evaluations, I will advise of newspaper endorsements (if they're made) or community group or union endorsements (when I can verify them). I'll re-post video interviews when I can. All of this stuff will be collected in Organizing the Data posts (explained more, below) as the primary date comes closer. I want to publicize candidates' events. I'm happy to put up information about candidate fundraisers. But I will cheerfully publicize other candidate events as well. (Organizers of candidate forums are encouraged to contact this blog so I can promote their events.) If a candidate wants to promote a speaking engagement or a morning handing out flyers at the 95th Street Red Line Station or the Jefferson Park Blue Line Station, I'll run that, too. I will try and include photographs if the candidate or his or her campaign provides them. Please keep in mind that I have my own practice to run and I can't possibly find out about all candidate events on my own. That means I rely on candidate requests for publicity. I'm sure I'll hear from some campaigns ten times or more; there will probably be others that I'll never hear from once. That does not mean I'm playing favorites; I'm merely responding to the email I receive. NB: A number of campaigns have reached out to me about their candidate's favorable bar ratings -- and I haven't run those posts. Here's why: The CBA and the Alliance don't have a rolling release policy for bar ratings; the bar groups release everyone's ratings all at the same time, usually very close to the start of early voting. I don't necessarily agree that this is the best way to do things, but I have been willing to go along with this in the past and I plan to continue to do so. I am a lawyer, not a professional journalist. However, since professional journalists insist on ignoring judicial elections, I do the best I can. Having run for judge twice myself (in 1994 and 1996) I appreciate just how little opportunity judicial candidates have to get their credentials before the public. I've already stated my editorial bias in favor of trying to present candidates in the best possible light, at least in my initial post about any given campaign. However, I reserve the right to fact-check information provided, to add information I've discovered on my own, to combine or even ignore duplicative releases. In short, I reserve the right to edit. Comments on this blog are 'moderated.' This means I read any comment that anyone cares to leave and decide whether or not it will get posted. I do not automatically exclude anonymous comments, but I'd greatly prefer you leave a name. I don't think that comments from friends and family like "he's the best" or "she's the most qualified" are going to really sway any voters when the time comes -- but I will generally let these kinds of comments through. I will, however, block "attack" comments, especially from anonymous commenters. I understand that this is a blog and there is an expectation, for better or worse, that all Internet commentary should be freewheeling and even pungent. But this is my blog and I reserve the right to have my own expectations. Thomas Francis McGuire, a candidate for the countywide Elrod vacancy, was a recent guest on Avy Meyers' North Town News Magazine program and his interview has been posted online. The first link in the preceding sentence is to McGuire's campaign website; a link has also been added to the blog Sidebar. There are a lot of judicial candidate interviews in the current run of NTNM programs and I will be posting all of these in the days to come as opportunities permit. Judge Carrie Hamilton did file her papers this afternoon for the 12th Subcircuit Tristano vacancy. Hamilton and David Studenroth, mentioned in today's first post, are the only Cook County judicial candidates to file nominating petitions today. Both are running for the same vacancy (Studenroth as a Republican). One countywide judicial candidate withdrew today: Gregory R. LaPapa, who had filed against Brendan O'Brien, withdrew his candidacy. He is the first and only candidate to withdraw from the primary so far. But he will not be alone for long. Five candidates filed in time to qualify for the top-line ballot lottery in the 10th Subcircuit, that one vacancy drawing the single largest number of first day filers. In addition to the Democratic Party's slated choice, Stephanie Saltouros, opening day filers included the incumbent, Judge Eve Marie Reilly, Colleen Reardon Daly, Michael John Malatesta, and Richard "Rick" Cenar. There are three candidates so far for the "A" vacancy in the 6th Subcircuit. Judge Anna Loftus holds the seat pursuant to Supreme Court appointment. Carlos Claudio has been slated by the Democratic Party for that vacancy (he has a Facebook campaign page but no campaign website at the moment). Also filing for the "A" vacancy is Ed Underhill. There are also three candidates, at the moment, for the Williams vacancy in the 5th Subcircuit. Judge Robin Shoffner holds this seat pursuant to Supreme Court appointment and has filed to keep it. Her opponents so far include Daryl Jones and Gwendolyn Dale Anderson. Anderson was first licensed in Illinois in 1977, according to ARDC. Mary Alice Melchor has announced an intention to seek one of the two available vacancies in the 5th Subcircuit, but has not yet filed. In the 2nd Subcircuit, Travis Richardson has announced his intention to file, but did not file yesterday morning. Three other candidates did, however, D. Renee Jackson, Celeste K. Jones and Chelsey R. Robinson. I found Robinson's campaign website while preparing this post; a link has been also added to the blog Sidebar. According to ARDC, Robinson has been licensed in Illinois since 1996. 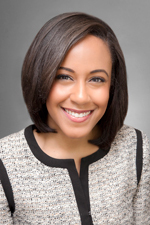 She currently practices with the firm of Owens & Robinson. According to her campaign bio, Robinson's firm provides representation in "family law, criminal defense, contractual disputes, real estate, bankruptcy, and personal injury matters." A graduate of Howard University and Loyola University School of Law, Robinson has been "active in the Roseland Community hosting outreach programs such as community cookouts, expungement seminars, and the support of children of incarcerated parents," according to her campaign bio, which also notes that she has volunteered at the Cook County Juvenile Temporary Detention Center mentoring youth. Updated 11/24/15 at 11:05 a.m.
Judge Freddrenna M. Lyle is so far unopposed in her bid to hold the Stuart vacancy in the 5th Subcircuit. No one has yet filed against Richard C. Cooke in the race for the Santiago vacancy in the 6th Subcircuit, nor has anyone yet filed against Judge Marianne Jackson in the race for the Burrell vacancy in the 7th Subcircuit. I have found a campaign website for Judge Jackson, however. That's a link to the site in the preceding sentence; a link has been added to blog Sidebar. No one has yet filed against either of the slated candidates in the 11th Subcircuit, Judge Marc Martin (Kelly vacancy) or William B. Sullivan (Zwick vacancy). Countryside attorney Donna McDonald was the only person to file for the Kunkle vacancy in the 4th Subcircuit Monday. I can find no campaign website for Ms. McDonald as of yet; according to ARDC, McDonald has been licensed as an attorney in Illinois since 1980. McDonald is unlikely to be alone in this race for long: This is the vacancy that Judge Edward J. King holds pursuant to appointment by the Supreme Court. He will presumably be filing his nominating petitions soon. Nobody filed yesterday for the Tristano vacancy in the 12th Judicial Subcircuit, not even Judge Carrie Hamilton, who holds the seat pursuant to appointment by the Illinois Supreme Court and who has been slated by the Democratic Party for the vacancy. She will also presumably be filing her papers soon. A Republican surfaced in the race for the Tristano vacancy this morning. David Studenroth, a Park Ridge criminal defense attorney, filed for this vacancy today. According to ARDC, Studenroth has been licensed as an attorney in Illinois since 1987. The fact is that candidates may, and probably will, surface in several of these races before filing closes next Monday. There may eventually be some unopposed subcircuit races when the ballots are finally printed next year -- but those races may be cleared by ballot challenges or negotiation. After the first day of filing, there are two candidates for the countywide Hogan vacancy, Judge Alison Conlon and Assistant State's Attorney Michael I. O'Malley. The links in the preceding sentence are to earlier FWIW posts about these two candidates. Brendan A. O'Brien has so far attracted one challenger in his bid for the countywide Love vacancy. The challenger is South Side attorney Gregory Raymond LaPapa. LaPapa filed for a countywide vacancy in the 2014 primary, too, but was knocked off the ballot. LaPapa has been licensed in Illinois since 1987. Two first-time candidates have filed to oppose Judge Daniel Patrick Duffy for the countywide Ruscitti Grussel vacancy, Oak Lawn personal injury attorney William S. Wojcik and Loop PI attorney John E. Marszalek. According to ARDC, Wojcik has been licensed in Illinois since 1980. He has no campaign website as of yet, but I have found his firm website. Marszalek has been licensed in Illinois since 1976. He also has no campaign website at this point, but this is his firm website. Judge Eileen O'Neill Burke is the only candidate so far for the Epstein vacancy on the Appellate Court. Justice Bertina E. Lampkin is the only candidate so far for Quinn vacancy. Burke and Lampkin were slated by the Cook County Democratic Party for these posts. A couple of countywide Circuit Court candidates are also uncontested, at least for the time being: Judges John Fitzgerald Lyke, Jr. and Aleksandra "Alex" Gillespie are so far uncontested in their bids for the Biebel and Howlett vacancies, respectively. Assistant State's Attorney Maureen O'Donoghue Hannon is unopposed so far for the O'Brien vacancy. All three of these candidates are slated by the Cook County Democratic Party. On the other hand, there are four candidates who filed for the countywide Elrod vacancy this morning, four candidates who filed for the countywide Karzenis vacancy, and four for the recently announced countywide Walsh vacancy. Elrod vacancy. Judge Rossana Patricia Fernandez, the Democratic Party's slated candidate, has drawn three challengers, Thomas Francis McGuire, Joseph Chico, and Scott Edward Lipinski. The links in the preceding sentence are to my initial posts about these candidates. Joseph Chico was a City of Chicago hearing officer when he sought a 1st Subcircuit vacancy in the 2010 primary (that's a link to Chico's website in the preceding sentence; a link has been added to the blog Sidebar). ARDC says that Chico has been licensed as an attorney in Illinois since 1993. According to his campaign bio, Chico represents clients in "family law, probate, criminal, traffic and personal injury" matters while still serving as a Hearing Officer with the City of Chicago, Department of Human Resources, a Hearing Officer with the Chicago Housing Authority, and as an Administrative Law Judge with the City of Chicago, Department of Administrative Hearings. In this last position, Chico writes, he presides "over hearings regarding Chicago Municipal Code violations within the Department Divisions which includes Buildings, Municipal, Environmental, Consumer Services and Vehicles." I haven't yet found a campaign website for Scott Edward Lipinski, but he is the son of former Circuit Court Judge Marcella C. Lipinski. His bid for his mother's vacancy (in the 15th Subcircuit) failed in December 2009, when he was knocked off the 2010 primary ballot. In 2012, Lipinski was a candidate in the 3rd Subcircuit. Karzenis vacancy. Judge Devlin J. Schoop is the Democratic Party's slated candidate in this race. Brian J. O'Hara, who was introduced to FWIW readers in this morning's post also filed for this vacancy (and another in the 7th Subcircuit). The other two candidates in this race so far are Tom Courtney, who filed for the Illinois Supreme Court and an Illinois Appellate Court vacancy in 2012, but withdrew from both races, and Mary Kathleen McHugh. 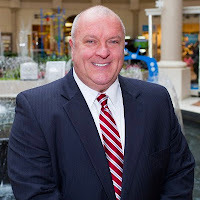 According to ARDC, McHugh has been licensed in Illinois since 1993 and is currently practicing with Parrillo Weiss LLC. Walsh vacancy. Two recently appointed judges appear to be on a collision course in this race. Gerald V. Cleary was appointed to this vacancy earlier this month. Fredrick H. Bates, who was the Democratic Party's first alternate selection, was automatically slated when this vacancy was posted. Bates was subsequently appointed to the even-more-recent Johnson vacancy. Judges Cleary and Bates both filed for this vacancy this morning, as did Kevin Patrick Cunningham and Patrick Powers. The links in the preceding sentence are to prior FWIW posts. As for Mr. Powers, ARDC advises that he has been licensed in Illinois since 1987. He heads up The Powers Firm, Ltd. That's a link to his firm website; I haven't yet found a campaign website. According to the firm website, Powers practices in "family law/domestic relations, which involves divorce and paternity matters, child custody issues, child support and pre-nuptial agreements" and also in real estate matters. A blizzard of paper, that is. Candidate nominating petitions. 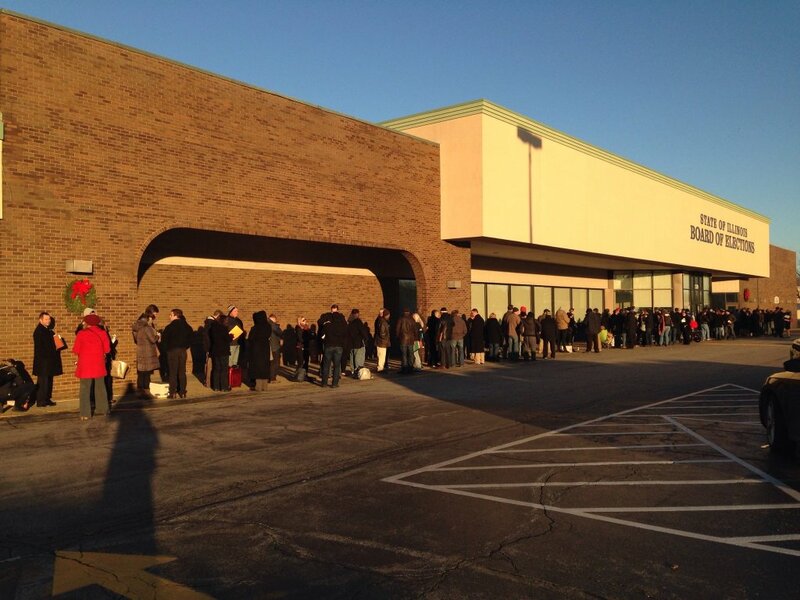 I grabbed this photo of the Illinois State Board of Elections office in Springfield from former Ald. Bob Fioretti's Twitter feed this morning (he's in line waiting to file for the State Senate); below is another view gleaned from the Aldertrack Twitter feed. A lot of Cook County judicial candidates are in line here that you've heard about -- and a lot you haven't yet heard about besides. One announced judicial candidate who is not in line this morning, according to email recently received, is Carolyn Gallagher. She has decided to pursue the recently opened Johnson vacancy instead. Being the first to file in any judicial race means only that you (or your surrogate) gets to warm up sooner than all the other candidates in your race: All candidates in line when the doors opened this morning were eligible for the ballot lottery. That said, the first two Cook County judicial candidates to have their names posted this morning by the ISBE were Judges Eve Reilly (who is running against the party in the 10th Subcircuit to try and hold the seat to which she's been appointed) and Marianne Jackson (who has been slated by the Democratic Party for for the Burrell vacancy in the 7th Subcircuit, the vacancy she now fills by appointment). Also filing in the 7th Subcircuit (for the Rivkins-Carothers vacancy) and also for the countywide Karzenis vacancy is River Forest practitioner Brian J. O'Hara. I haven't found a campaign website for Mr. O'Hara yet; here is a link to his office site. According to ARDC, Mr. O'Hara has been licensed in Illinois since 1980. According to O'Hara's firm website, O'Hara is a graduate of Loyola University and Northwestern University Law School. 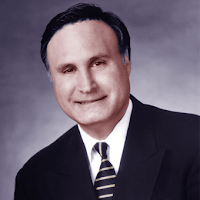 He's been a sole practitioner in River Forest for over 15 years. His website touts his real estate practice and notes that he "also represents parents, minors, foster parents, and others in juvenile court as a member of the Conflict Panel of the Cook County Juvenile Court since 1989. Also included in Brian’s practice is general civil litigation, and estate work." According to his firm website, O'Hara is a member and past chairman of the River Forest Traffic and Safety Commission and also volunteers for the Chicago Area Alternative Education League (CAAEL) as a fundraiser and board member. Judge Jerry Esrig was among the first in line this morning, trying to hold the Berman vacancy to which he was appointed by the Illinois Supreme Court. The ISBE website shows, however, that he already has one challenger -- but there's a problem. The website lists Thomas Peter Kougins as filing against Judge Esrig -- but ARDC does not list any lawyer in the State with that surname. There was a Thomas Peter Kougias who ran in the 9th Subcircuit in 2014; I'm assuming "Kougins" and "Kougias" are one and the same. Look -- with all that paper, surely someone at ISBE may be forgiven one little typo. Assistant State's Attorney Richard "Rick" Cenar has also filed in the 10th Subcircuit. Mr. Cenar did appear before the 10th Subcircuit slating committee in September but was, like Judge Reilly, passed over. He has been licensed since 1986. I've been unable to locate any campaign website so far. Obviously, there's lots more to come here. Updates will be forthcoming as work permits during the day; a bigger recap should follow this evening. Supporters of Judge John Fitzgerald Lyke's bid to retain his countywide judicial seat are planning a fundraiser for their candidate on Tuesday, December 15, from 6:00 to 8:30 p.m., at Truth Italian Restaurant, 56 E. Pershing. Tickets for the event are $50 apiece (there will be a cash bar). To order tickets in advance, see this page of the candidate's website. ...and one of these is the vacancy of Judge Marilyn F. Johnson -- the one that won't officially occur until December 11. Yes, your friendly neighborhood blogger has bungled again -- and, once again, I was rescued by a reader. Judicial resignations, my source told me, can't be pulled back once they're handed in. Therefore, while Judge Johnson (for example) has chosen December 11 as her retirement date, she has turned in her resignation already -- during the special judicial filing period -- and so it can (and will) be filled in the 2016 election. Sure enough, while my source was still trying to walk me through all this, I clicked over to the Illinois State Board of Elections judicial vacancies list and, lo and behold, there it was -- listed, as of yesterday's date, the full circuit vacancy of Judge Marilyn F. Johnson. So... Sean Chaudhuri, the Democratic Party's second alternate selection, will have an opportunity to seek the Johnson vacancy in the March primary. That's the vacancy to which Fredrick Bates was just appointed -- I got that right -- I can still read, sort of. Bates will be running for the Walsh vacancy. And now for the buried lede: The ISBE also lists two other new vacancies. Judges Edmund Ponce de Leon and Lisa Ruble Murphy have both announced their resignations as well, creating new, special-filing-period vacancies in the 6th and 14th Subcircuits. The Illinois Supreme Court today appointed Fredrick H. Bates to an upcoming judicial vacancy, specifically, the countywide vacancy that will be created on December 11, when Judge Marilyn F. Johnson retires. Bates' appointment will be effective December 14 and will terminate on December 5, 2016. But don't plan on seeing Judge Johnson's vacancy on the March primary ballot: Her retirement date comes after the close of the November 9 through November 30 special filing period, November 30 being the last date on which a judicial vacancy can occur which can be filled in the March 2016 primary. The Johnson vacancy will not be filled until the 2018 primary. Bates will be on the 2016 primary ballot, however, as the slated candidate of the Democratic Party for the recently opened Walsh vacancy (he was the first of several alternates selected by the Democratic Party at its August slating meeting). The Supreme Court could not appoint Bates to the Walsh vacancy, however, because it had already filled that vacancy -- appointing Gerald Vernon Cleary III was to the Walsh vacancy just a couple of weeks ago. Per email received from Xavier Nogueras of BOCA Media Group, a campaign website has been launched for 6th Subcircuit judicial candidate Richard Cooke. That's a link to the campaign website in the preceding sentence; a link has been added to the blog Sidebar. Cooke's campaign biography emphasizes his trial experience, asserting that he has tried over 250 cases to judgment. The campaign biography states that Cooke's "law practice is concentrated in the representation of petroleum distributors and retailers operating throughout the State of Illinois," serving also as general counsel "for several business trade associations and Chambers of Commerce." He is a frequent lecturer for petroleum industry educational seminars. A graduate of Gordon Technical High School, Cooke attended Loyola University Chicago for his undergraduate work and is a graduate of Loyola University School of Law. 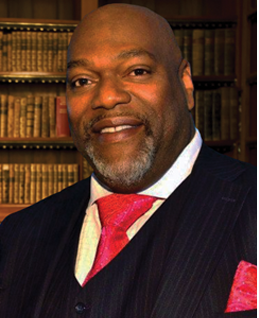 Licensed as an attorney in Illinois since 1992, Cooke's campaign bio notes that he opened "a self-funded, free legal aid clinic to assist needy families and individuals to obtain access to justice in the Cook County Courts" in 2008. The campaign biography notes that Cooke "has received many community service awards and is an active community volunteer and title sponsor of numerous charitable events." Travis Richardson has announced his intention to seek election to the bench from Cook County's Second Judicial Subcircuit. That's a link to Richardson's campaign website in the preceding sentence; a link has also been added to the blog Sidebar. Richardson's supporters are planning a fundraiser for their candidate this Thursday, November 19, from 5:30 to 7:30 p.m., at the West Side Justice Center (the Shiller Preyar Law Offices), 601 S. California Ave.
Tickets for the event are $150 apiece, but sponsorships are available (for $250, $500, or $1,500). 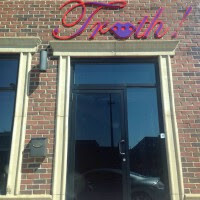 Thirty-fourth Ward Alderman Carrie M. Austin and 21st Ward Alderman Howard B. Brookins, Jr. are the hosts for this event. For more information about the fundraiser, or to order tickets, email Info@CraticShaffer.com. Richardson as been licensed as an attorney in Illinois since 1997. He is a principal in the firm of Richardson & Mackoff. According to his campaign bio, Richardson is a graduate of the University of Michigan Law School where he received the school's Rockwell T. Gust Advocacy Award, "presented for demonstrating the greatest potential as a trial lawyer and advocate in his graduating class." According to his campaign bio, Richardson was also a founder and was Articles Editor of the Michigan Journal of Race & Law. Richardson was appointed to the Judicial Performance Commission of Cook County. According to his campaign bio, Richardson represented Region VII of the National Bar Association on its Judicial Evaluation Committee and is former Director of that Region (which encompasses Illinois, Indiana and Wisconsin. Richardson is also a Past Chair of the NBA Young Lawyers Division and of the CBA Coordinating Council for Minority Affairs and the CCBA Judicial Evaluation Committee. Richardson also served on the CCBA Job Fair Committee and on the CBA Nominations and Elections Committee. Supporters of Judge Edward J. King's bid to retain the 4th Subcircuit seat he now holds by Supreme Court appointment have planned a fundraiser for their candidate on Thursday, November 19, from 5:30 to 7:30 p.m., at Pazzo's at Three-Eleven, 311 S. Wacker Drive. Tickets for the event are $150 each, but sponsorships are available (Friend - $300, Sponsor - $500, Host - $1,000). For more information, or to order tickets, email Julie Lane at julielane0607@gmail.com. 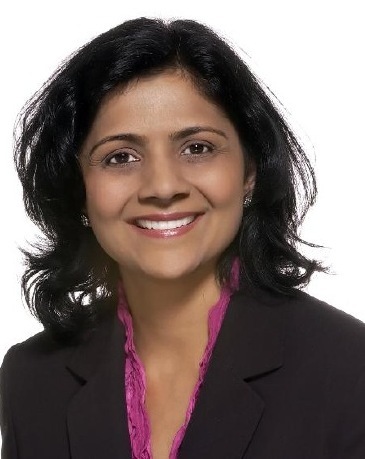 The Illinois Supreme Court has appointed Ketki Shroff Steffen to the Fecarotta vacancy in the far northwestern 13th Subcircuit. Judge Steffen's appointment, announced yesterday, was effective yesterday as well, and will expire on December 5, 2016, when the elected successor to Judge Fecarotta is sworn into office. This will be Judge Steffen's second tour of duty in the judiciary. Judge Steffen, a finalist in the 2009 round of associate judge selection, was first appointed to a 13th Subcircuit vacancy in early 2010. Her bid to retain that seat fell short in the 2012 primary.